(MENAFN - Caribbean News Now) The summer break is long gone. After the great heat, which brought the summer months here in Germany, it is now again about sport. The first Bundesliga is well underway. Sport bets are already running here: the first stakes, bets and discussions. There is by far not only the bet who will win a game or which driver will win a race. 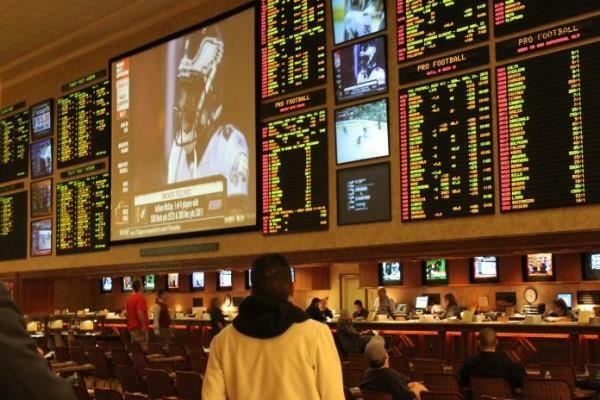 There are now several thousand betting options on a single sporting event. In addition, you can place sports bets on many different sports with one betting provider. The range of bets is enormous, as is the number of betting providers. A good provider of sports betting is not only characterized by a large offer of sports betting, but should ideally meet several criteria, which are briefly explained in the following report. In Germany, sports betting is regulated by the Gaming Act. The reason lies in the definition of gambling itself — an agreement or game with a result that lies in the future and is determined by chance. However, it must be said that there is a difference between a game of dice that one cannot in fact predetermine or analyse how it falls and a bet on a sporting event about which one can read information beforehand. Nevertheless, sports betting in Germany is gambling, therefore the betting providers need a valid licence to legally offer the offer of gambling and sports betting. The licence comes from Malta, Gibraltar, Curacao, England, Schleswig-Holstein and a handful of other countries. In these countries there are clear rules and strict regulations for companies. This benefits both customers and betting providers. The customer can fall back on a legal and regulated offer of safe sports betting and the companies can plan, organise and realise their operational activities on a fixed legal basis. In Germany, every product and every service has a seal of quality, fair trade or a good price/performance ratio. Sports betting is no exception. The betting providers are checked and evaluated by public and private parties. Therefore on the sides of the offerers also the badge of the TÜV is to be seen. Another examining instance is the German Lotteriegesellschaft. These check the offerers and write in addition a detailed test. Different aspects of the provider are checked, such as the range of sports, betting options and odds or the user-friendliness of the platform. If you are looking for a reputable betting provider and you get to a homepage, the license and certificates can usually be seen directly on the homepage. In principle, this is a matter of course, as the most important signs are safety and quality. If they cannot be found directly or are not available at all, this indicates a fraudulent platform and one should look for another bookmaker. The Internet has made many things easier. The best example is online shops or online sports betting. Opinion forming has also become more diverse, as user and customer reviews can be read. For example, if you want to order a product on the Internet, you can read opinions, ratings and reviews about it. In this way you can quickly find out whether the product is a cheap counterfeit or a genuine quality product. This also works for betting providers. However, it must be mentioned with regard to the ratings of customers or unknown persons on the Internet that these do not have to be decisive. With online casinos there was already the case that many customer opinions were bought and falsified. These rated fraudulent platforms as secure and trustworthy, causing many to create an account there, deposit money and lose. Therefore customer opinions should always be read on several platforms and compared with the information of the respective betting provider. Fortunately, there have been no fake customer reviews with sports betting providers so far and these can give helpful hints on certain quality factors. As mentioned at the beginning, several sports are offered by an online bookmaker. Practically you don't have to create an account for each sport. The range of sports is also a quality feature. In order for a bookmaker to be able to offer bets on certain games, he needs contracts with the respective leagues and clubs. It goes without saying that the associations pay attention to the seriousness of the betting providers. The customer thus benefits from more security and from a wide range of bets. Because even if the favourite team plays in the first Bundesliga, the odds on the lower and foreign leagues are far more profitable. In addition to the range of sports, the number of betting options and the odds must also be taken into account. The odds for a game are not the same for every bookmaker; therefore professional players create several accounts with many betting providers to always have access to the highest odds. It has already been stated that sports betting in Germany is regulated by the Gaming Act. However, unlike normal gambling, one is able to prepare oneself for sports betting. By the numerous information over sport in the form of statistics, tables and general messages, one can provide a prognosis on certain events. Professional players are therefore of the opinion that sports betting is more of a skill than gambling. In fact, luck only has a very small impact on the success of sports betting. That's why it's also a sign of a serious betting provider if it offers extensive and up-to-date news and information about sports and betting on its own platform. In addition, there are usually tips and tricks from experienced players who present and explain their betting strategy. At the end there is still the question how to find the bookmakers. If the term sports betting is entered into an online search engine, about two million results are displayed. Of course, these are not only providers, but also related and relevant topics. So that one does not have to go through all individual hits, the platform betting.org helps. Only licensed betting providers can be found on it, which ideally are displayed with the most important information and ratings at first glance. This saves time when searching for a trustworthy provider and you can be sure that the offer has been licensed, regulated and checked.